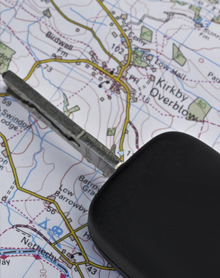 We provide vehicle locksmith solutions in Shropshire, Staffordshire, Herefordshire, Worcestershire, Warwickshire and the Midlands. 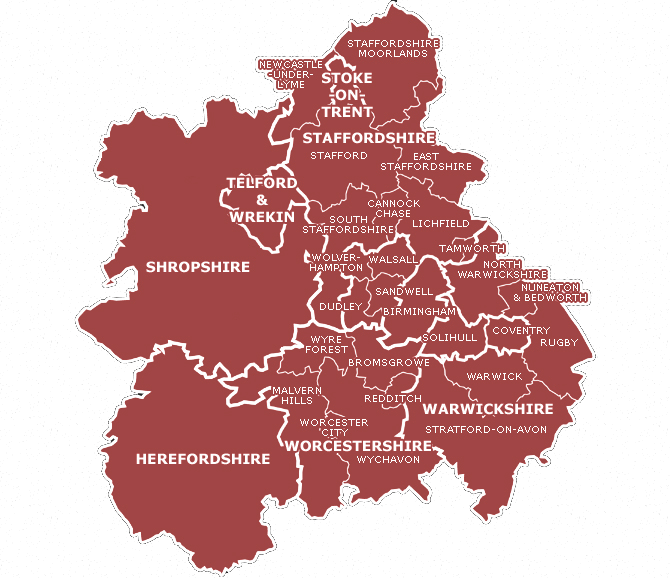 Below is a map of towns and counties we cover. I have lost my keys. Can you help? We are one of only a handful of car locksmiths in the West Midlands that are able to cut and program car keys without main dealer security codes. This big advantage means our team of mobile vans are fully equipped with the latest machinery and technology to deal with lost, replacement or duplicate keys or problem car locks for just about every car model on the road today. My car keys have been stolen. I need help urgently. We can help by reconfiguring your locks with new keys programmed so the keys stolen will never work again. I have broken my key in the door/ignition lock. What can I do? If the vehicle cannot be driven we can come to you and retrieve the broken part out of the lock. We will cut a new key and get you up and running. If you can drive the car to our workshop then we can book you in to do the same job, but a cheaper rate. We have been providing a high quality & low cost vehicle locksmith service for 30 years. This service includes supplying new spare keys and remote controls, replacing broken keys and even lost or stolen ones. Our aim is to get you back on the road as swiftly as possible (please note: this can be delayed due to retrieving important security information from the manufacturers of your vehicle).